Do you sound nervous when speaking in front of a group? Does your voice shake with tension or hesitation? Do you hold yourself back vocally and physically, whether speaking in front of a group of three or a group of three thousand? If you’re limiting yourself in that way and you want to be bolder, more powerful, and supremely confident when engaged in public speaking, then stay tuned. 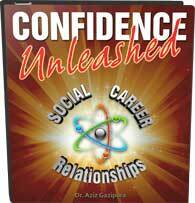 Today, we’re going to discuss a way to immensely increase your confidence in front of any group of any size. Whether you make daily speeches as part of your work or just need to get up in front of a crowd once to make a wedding toast, public speaking is an incredibly important skill to develop as an adult, and yet it’s something that almost all of us fear in some way. Somehow, even when we are sure in our knowledge and our preparation for whatever it is we need to speak about, we are unsure in ourselves. We get nervous that we will mess up somehow or be boring or disconnected, and fear begins to creep up as we imagine what that will look like and how it will feel. Then the worst possible thing happens: we panic. This is the opposite of what we want. Fear does not have to hold you back—it is possible to feel fear in your body while still sounding and looking powerful. There are about a million stories of platinum album artists who experience extreme stage fright; world champion athletes who get sick in the locker room before games; world leaders who suffer from social anxiety. These people all go through hell because of fear-based reactions to performance, and yet they go out and crush it every single time. Fear does not equal failure. The difference between people who can disconnect fear from their performance abilities and people who are incapacitated by fear is that the former are able to face their fears and power through them until they no longer hold any power. When I feel fear before a big seminar, for example, I simply allow it to exist within me. I breathe through it and focus in on those sensations as I let the waves of anxiety crash over me. 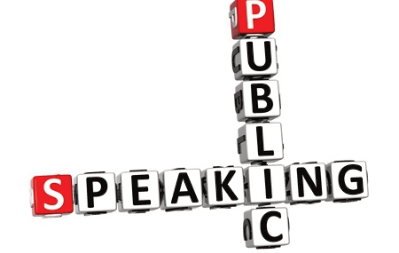 You must begin to take control of your fear when it comes to public speaking . . . but what is the best way to do that? It all starts with your body. A powerful presence doesn’t stem from your mind—it stems from your physical core. In order to tap into that, you need to activate your body. There are, of course, many other things that you’ll need to master along the way, and if you want to begin to do the work involved in that mastery, check out my program, Confidence Unleashed. This is an incredibly transformational series that will help you activate your sense of power and obliterate anxiety on a deep level. In the meantime, however, developing your power all starts with accessing your physical energy and strength. So, how do we do that? Well, to start with, we need to stop panicking. When you panic, you become the person thrashing around in the ocean swallowing water instead of treading water calmly to keep your head above the waves. Instead of panicking, you must simply acknowledge your fear and begin to get used to the idea that it does not have control over you. This can take time for your body and mind to accept, so the best results will come from practicing on a daily basis. Begin moving your body and letting in some of that good energy. Continue with this for at least thirty to sixty seconds until you begin to feel power activate within your body. It also helps to get vocal! If crazy sounds want to come out, let them! Talk loudly to yourself and use positive words and phrases. Breathe in deeply and let yourself get a bit crazy. As you energize yourself, you empower yourself. 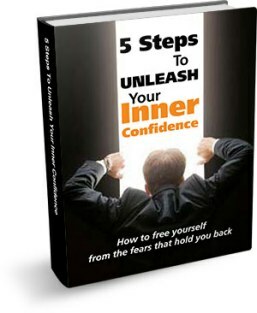 Again, there are additional ways to use this method to anchor yourself in confidence and power, and I discuss them in Confidence Unleashed . . . so if you want to really explore this more deeply, I urge you to check it out. This can be done every day to help you increase your physical power in general, but it can also be done right before you go on stage or begin your presentation. Get psyched, breathe deeply, and let ‘er rip! As you begin to speak, just continue to breathe and feel that physical energy as you power through the first fifteen to thirty seconds of your presentation. It helps to really nail down and practice this first part of your speech so that you don’t even need to think as you’re presenting it. Get it to the point where you can mentally steamroll through it without letting in any outside stimuli. No matter what, as you prepare for this work, remember: you’ve got this! You know what you’re talking about, and you have the ability to give amazing speeches. Get yourself pumped up, and feel that physical power so that you can let it shine through your words and energy. Involve your entire body in your pregame ritual, and you will begin to notice that this physical power allows your inner confidence to soar! Stay tuned for a new program I’m currently developing that’s specifically aimed at public speaking! Please feel free to leave any questions you have on this subject within the comments section below so that I can include solutions in the new modules. Also, please share your experiences with fear when it comes to public speaking so that we can learn from each other and grow as individuals. Until we speak again, may you have the courage to be who you are and know on a deep level that you’re awesome.